Learn to use the laser cutter as you design, prepare, cut, and engrave a custom acrylic business card and wooden drink coaster using our 130 watt CO2 laser. This 3 hour workshop covers topics that include an introduction to Inkscape, laser theory and operation, file preparation using RDWorks, and working with photos and other complex images. You’ll learn to dimension images, work with bitmap and vector formats, understand material choice and the corresponding speed and power, use color to bring efficiency to your workflow, when to engrave versus cut, and much more. 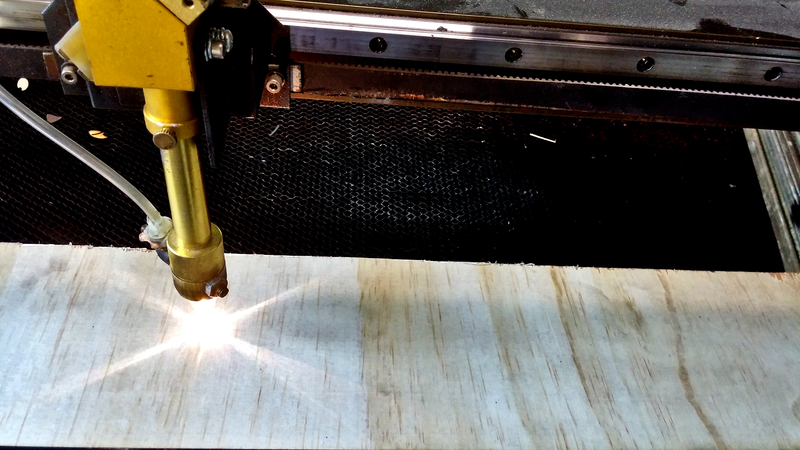 This workshop qualifies members to use the laser cutter.